Malaysians Will Get To Witness A Full Blood Moon This 31st January 2018! Clear up your calendar, folks – we can finally experience the global phenomenon- the one and only, lunar eclipse. This time around, we’ll get to enjoy the full view from right here in Kuala Lumpur! This is a big deal ya’all! For folks out there who slept through your science lessons, lunar eclipse, also known as blood moon, happens when the Earth’s shadow blocks the sun’s light, which otherwise reflects off the moon. The Earth’s shadow will completely and perfectly cover the moon in the dramatic total lunar eclipse – turning the moon an amazing blood-red. It only occurs when the moon is full. In August last year, the last lunar eclipse graced us but it was only a partial one. Lasting for almost 5 hours this year, the total lunar eclipse will begin on 31st January 2018, at 7.17pm and end at 1st February, 12.08am – now that’s a nice way to welcome February! We’re gonna hit you with the full timeline for the eclipse so seat tight! The partial eclipse begins. The Moon slowly gets red. Make sure you’re looking towards East-northeast. Total eclipse begins. 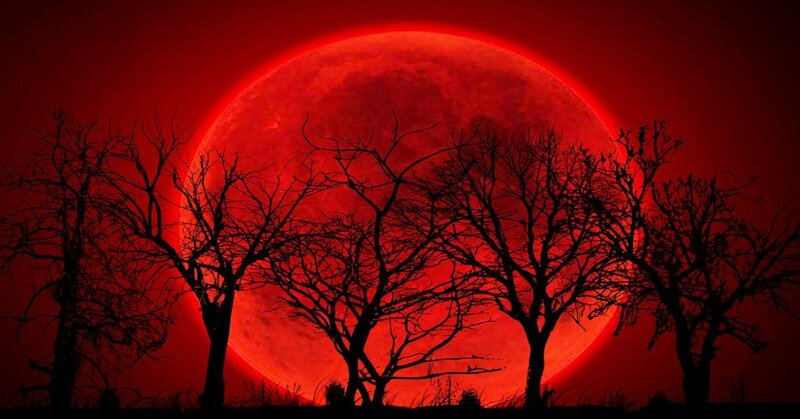 The Moon will turn completely red. The maximum eclipse happens. The Moon is closest to the center of the shadow. Total eclipse ends and at 11.11pm, the partial eclipse ends – great time to make the ultimate wish. Welcome February when the Earth’s penumbral eclipse ends! You know what we’re thinking? How about getting together with your friends and family over a nice BBQ feast. Or perhaps, a marriage proposal? The Universe couldn’t be more awesome than this!